Veteran of the energy sector in both the north-east and around the world, Colin Black, has been recognised in Texas for his services to the industry. 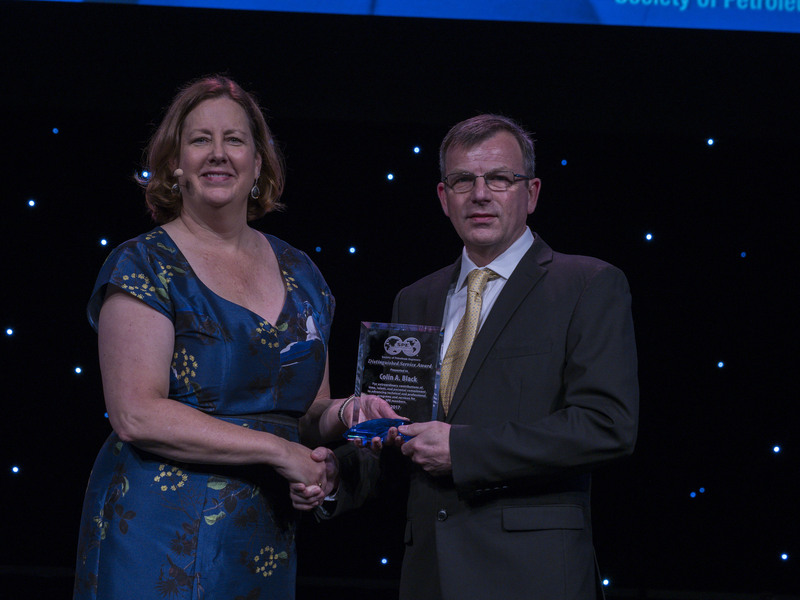 Involved with the Society of Petroleum Engineers (SPE) for 25 years, has been honoured by the organisation with a SPE International Distinguished Service Award in San Antonio, Texas. With 164,000 members in 143 countries, Black’s work with SPE Europe and SPE Aberdeen in terms of leading engagement the founding of the Schools Career Guidance (SCG) committee. Beginning his career as an offshore worker in 1982, Black worked his way up to vice president at OPTIMA before becoming managing director of Carjon-NRG Ltd.
Black has helped organise technical programs, school career guidance initiatives and Energy4Me events in locations such as USA, Mexico, Brazil, Italy, Ghana, Angola, Nigeria, Norway, the Caspian and Australia. Ian Phillips, chairman of SPE Aberdeen, said: “From the moment he first joined SPE Aberdeen, Colin has worked with passion and dedication to share and promote the many opportunities within the oil and gas sector to members and young people. In particular, Energy4Me becoming part of the school curriculum in Scotland is testament to his hard work.